Been looking forward to Saturday all week! The first sunday of an OL, i dread monday! Probably the Monday Blues Symptom! I thought i would dread work and time would pass by so so slowly. In fact, time went by so quickly every day! I would get up at 7 A.M. every morning, catch the bus at 7.45 A.M and be at the office by 8.15 A.M! This routine follows on with work till 5.45 P.M. I would usually leave office only at 6.15 P.M to make sure i clear up the particular task i am on. Even before i go for lunch, i would do the same! And i was saying time went by really quickly, i guess its due to the fact that im occupied all the time in the office, which is good! "if time passes slow, it means you dread work." I had plans to unwind, and get ready for monday! Yes! On Saturday, i'm planning for Monday already! Wth. On our way to lunch! Will be sharing on my dress later! It is really pretty! 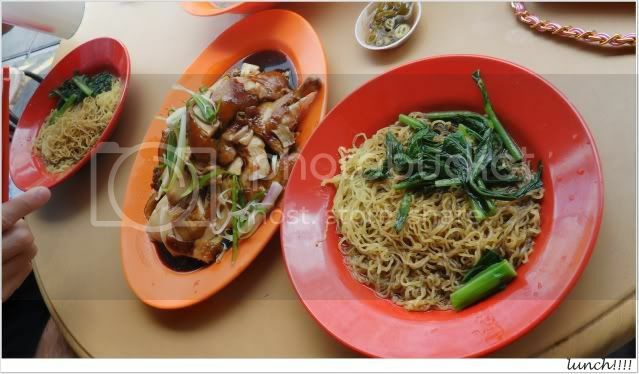 And we headed for China Town! Planned the chicken rice for dinner! But since we haven taken lunch, we drove for chicken rice!!!!! 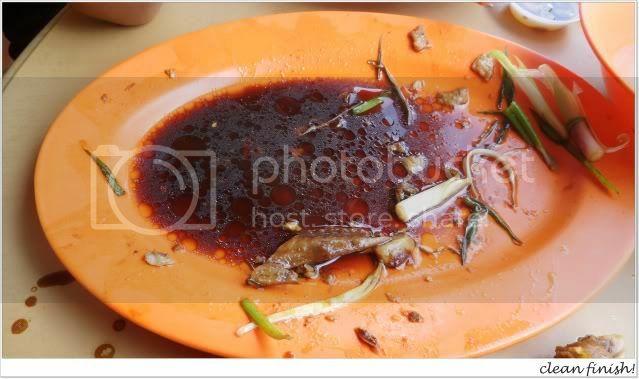 that is half a you qi, mind you. 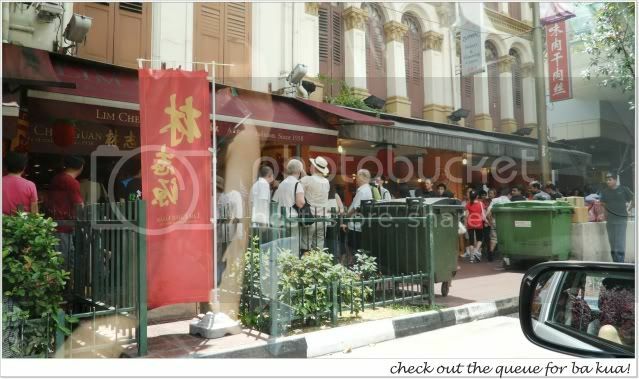 Check out the Queue at China town! this is like my fav ba kua! I heard from Daddy that this is the original outlet. The one opposite is the 2nd store (: So when we drove on, i wanted to see if there was such a queue there as well. But, nope! and took a train down to Newton MRT to meet Sheila! Sheila pretty was all stressed out! She was doing a mass meetup for you HH lovers! We did our hair at Von's. Same day, same color! So the growth will be just the same! Check out the bag i got from Sheila!!! 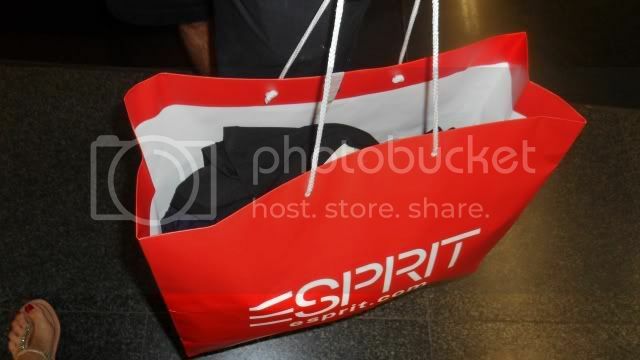 i really got a shock when i looked into the paper bag! so excited to wear them all!!!!!! Had quite a bit of time, headed to Bugis then back to PS! the plastic police patrol cap looks really good la! went to get my SWEET POPCORNS! sneakily choosing the sweet ones! HEHE! I really like the movie! It was touching. I shed like 2 drops of tear? BUT, a gay couple, a few seats away from us TOOK TISSUE OUT AND BLEW THEIR NOSE! omg. I'm so mean. The women in front of me, next to me had to summon tissues too. For those who haven caught the movie, here's a brief introduction of the movie! 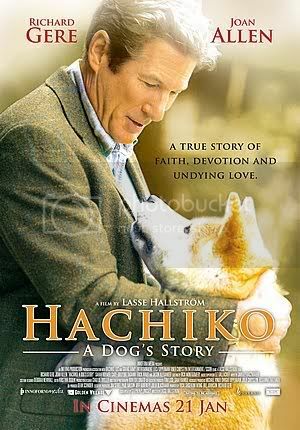 The Hachikō movie, is based on the true story of the faithful Japanese dog Hachikō. During his master's life, Hachikō saw his master off from the front door and greeted him at the end of the day at the nearby train Station. The pair continued their daily routine. His master did not return on the usual train one evening. For he had suffered a stroke at the university. He died and never returned to the train station where his buddy was waiting. Hachikō was given away after his master's death, but he routinely escaped, showing up again and again at his old home. He went to look for his master at the same train station. Each day, Hachikō waited for his master to return. And each day he did not see his friend among the commuters at the station. This continued for 10 years, with Hachikō appearing only in the evening time, precisely when the train was due at the station. Oh boy! I feel strong. I don't know why. I just didnt feel as sad especially scenes when Hachiko was old. Knowing that its another dog made me feel heh, its NOT the same dog. Back home after dinner at MOS BURGER. The first thing i did was to tear off all the wrappers of my dresses from Sheila! she saved me these pieces that are sold out. I'm gonna wear them to work! that i had to clear like 20 pieces cause i ran out of hangers! Many asked me how is my wardrobe like. My wardrobe is madness. I hang like 4 pieces of tube tops on 1 hanger. 3 dresses on each hanger!!! 2 crazy pictures to show you how messy i am!!! 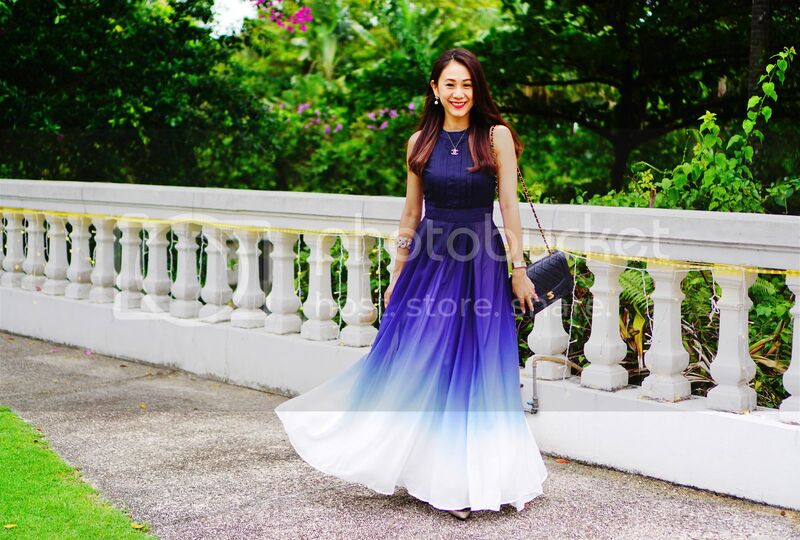 tube dresses, spag dresses, halter and thick strapped dresses, sleeved dresses. So mini dresses are in front! I have a drawer for all my tees. Another for my shorts and skirts. it was supposed to be purple for tops and a single pink shade for dresses. No longer, cause i ran out of hangers! How is your wardrobe like! 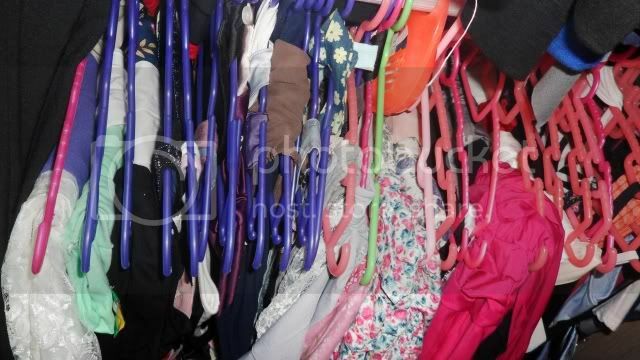 Anyone with a tutorial on how to keep the wardrobe always neat and tidy? 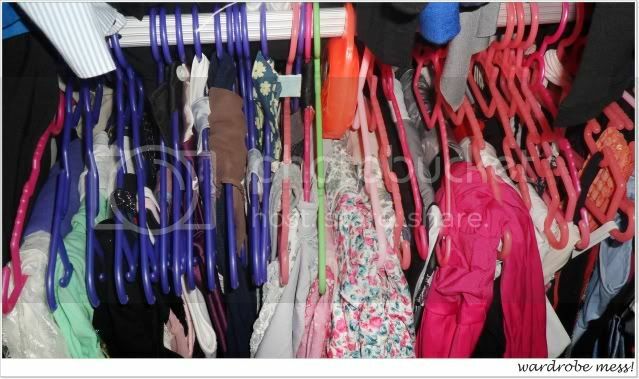 haha zoe your wardrobe really is in a mess but i can totally understand. 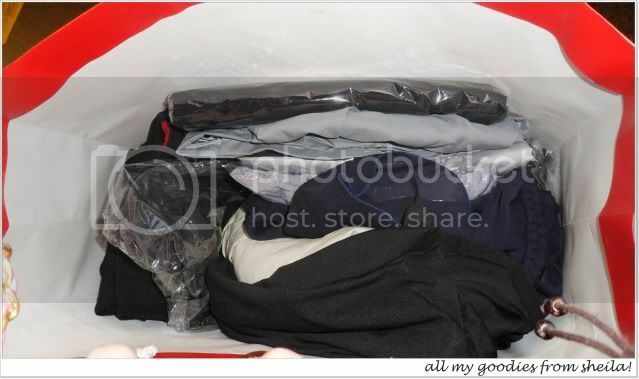 mine's pretty packed to the max too lol.. but i hang my clothes according to colour, then maybe length. it looks a lot neater and helps if you're a what colour-to-wear-today person like me lol. waa the ring is soo nice!! Sheila? A online shopping mall? hachiko is a great movie!! <3ed it too! and for your wardrobe, why not organise a preloved sales so we girls can buy the pieces u dont have space for or not wearing le! they all look v gorgeous!! ♥ ZOE R: Tell me about it! HEHE! I used to go via colors! But i dont like how the lengths go up and down! HEHE! ♥ ZOE R: HAHAHAAH! nopee dear! She owns Hollyhoque.com! ♥ ZOE R: Nope! I usually get cash! Its some times i get some pieces! ♥ ZOE R: Yea boy! I bet u are a regular at HH! hachiko is a great movie!! <3ed it too! and for your wardrobe, why not organise a preloved sales so we girls can buy the pieces u dont have space for or not wearing le! they all look v gorgeous!! ♥ ZOE R: Hi Anna! I dont have time to do that! Used to have it but its rather time consuming! (: Happy cny too!! !